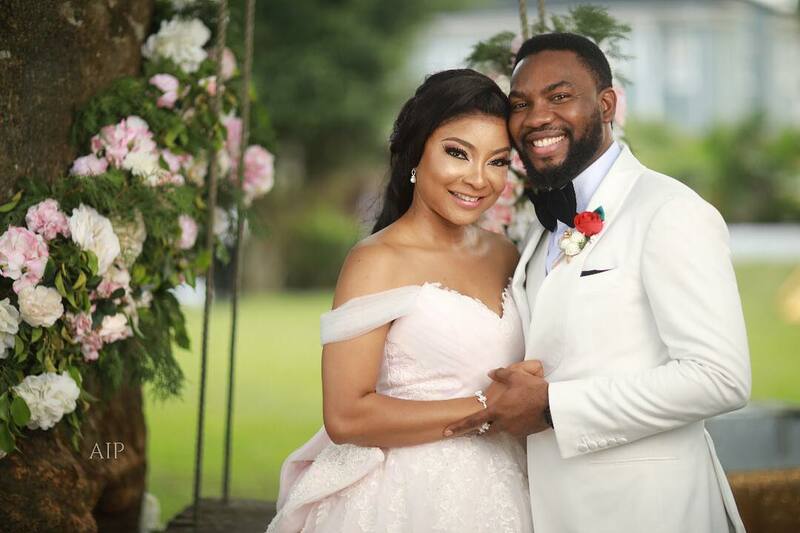 Nollywood actress, Ihuoma Linda Ejiofor and her beau Ibrahim Suleiman got hitched over the weekend and as expected it was a party for the A-listers at the #ISQUARED18. 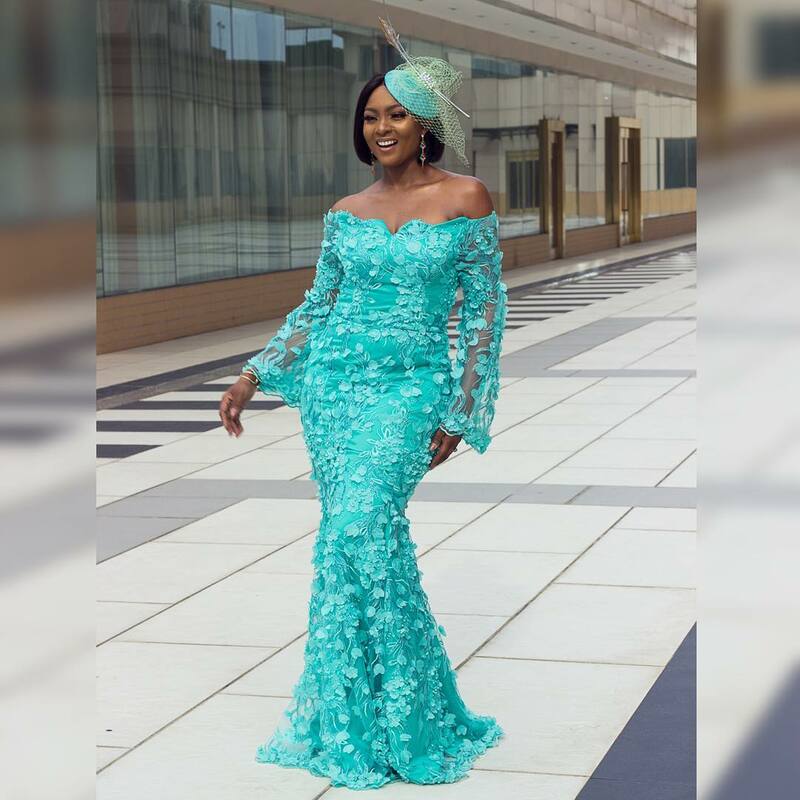 The 32-year-old screen star was simply stunning in her wedding photos and going by her happy looks, her wedding day was as beautiful as she had imagined. 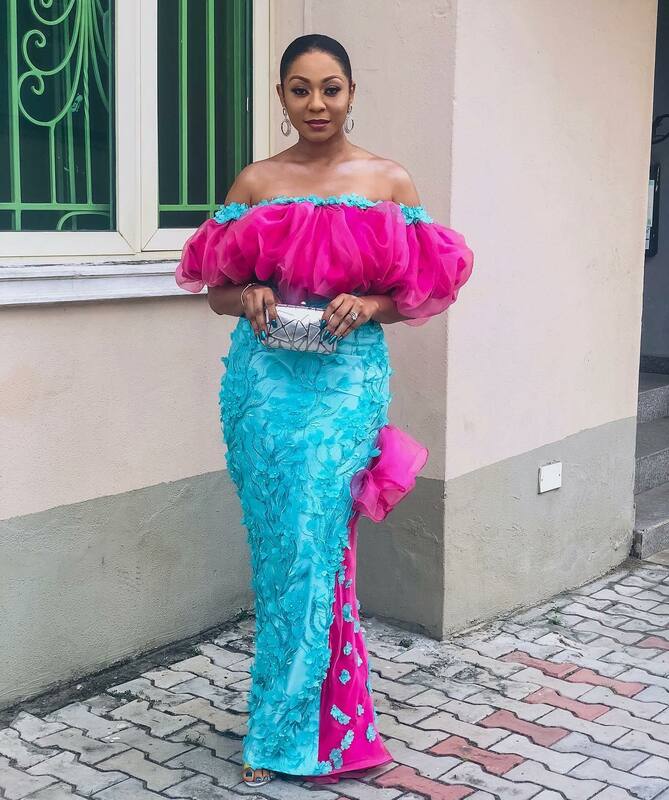 There were so many big names in attendance, most of whom were finely dressed for the occasion; however, the likes of Ini Dima-Okojie, Osas Ighodaro Ajibade, Omowunmi Onalaja and Ufuoma McDermott were the names to remember as they came offering rave-worthy and inspiring aso ebi styles. 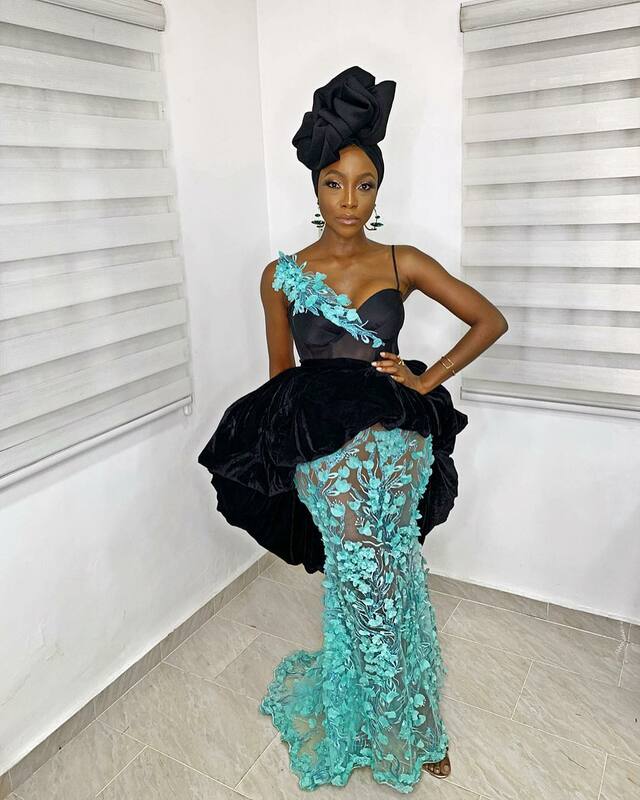 With her BFF, Adesua Etomi Wellington by her side, Ihuoma radiated so much joy and her signature glow was even brighter this weekend. 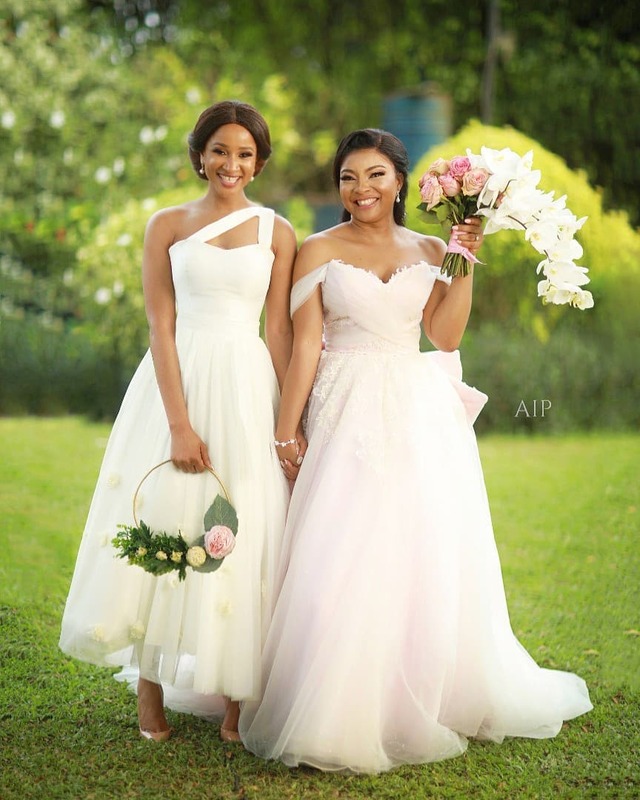 In the midst of a beautiful wedding ceremony held in a garden with gorgeous decorations, there was Adesua Etomi Wellington singing melodiously as the bride walked down the aisle looking like an angel in her gorgeous ball dress. 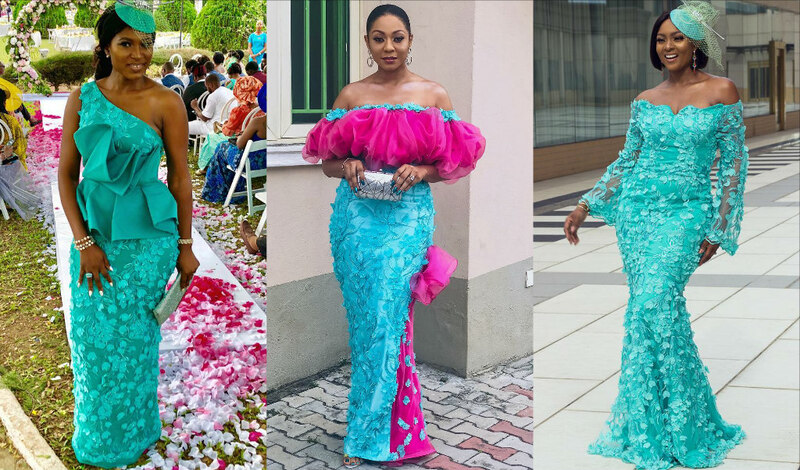 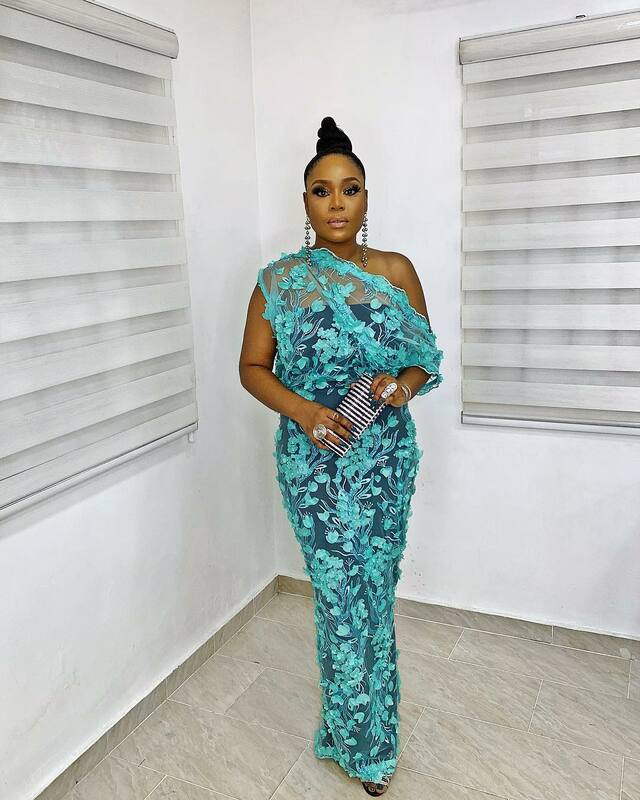 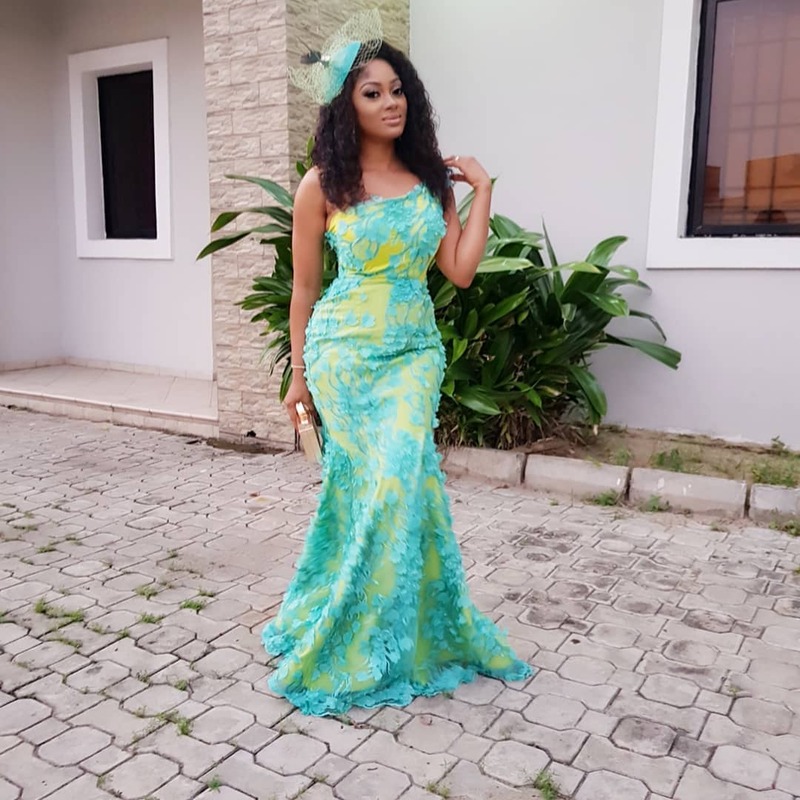 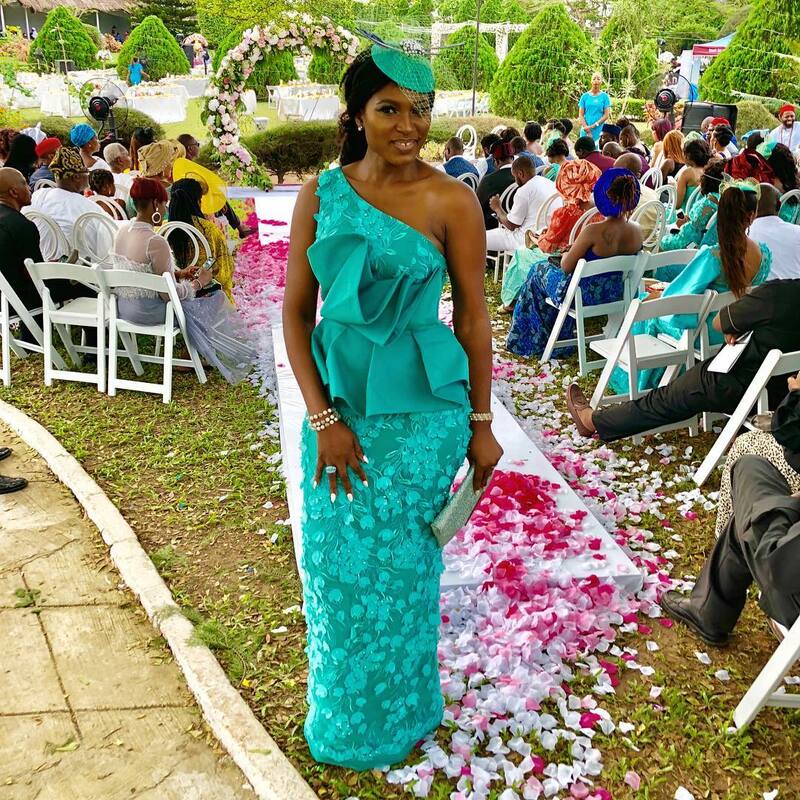 Then there were the celebrity aso ebi ladies serving an additional fascination for the environment as they stood out in beautiful, non-intrusive styles without upstaging the bride – making them the perfect aso ebi ladies. 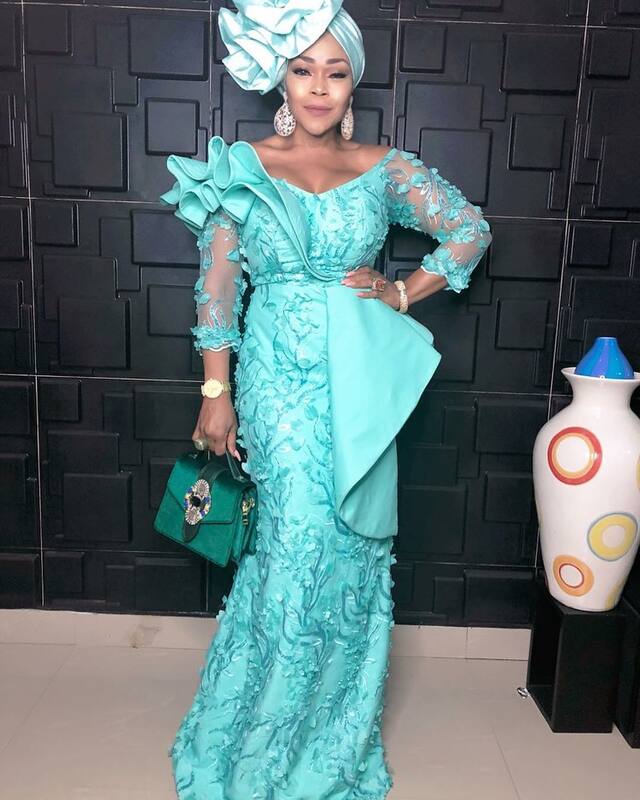 WOW guys i just found this on instagram!